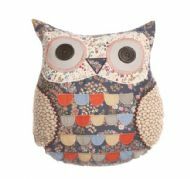 East of India feather filled cushion. 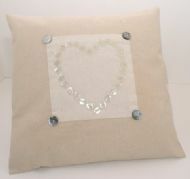 Heart of cream buttons decorates this gorgeous linen cushion. Mother of Pearl button fastening on reverse. 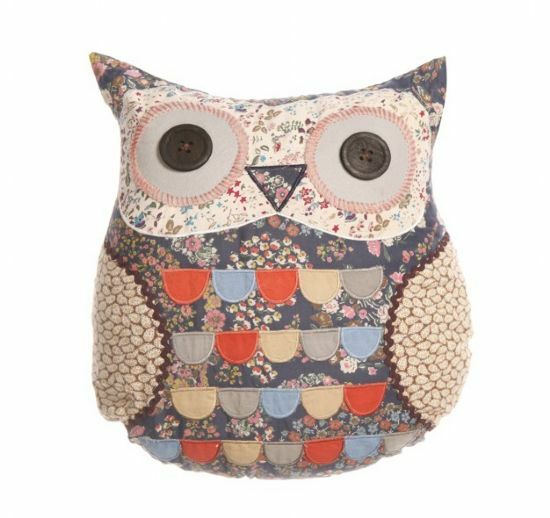 Fab patchwork owl cushion. Inner cushion pad included.